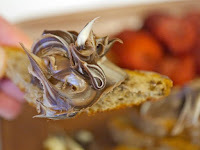 Today we bid adieu to Chocolate and Hazelnut Theme Week -- with an eighth item, one last bonus hazelnut day. 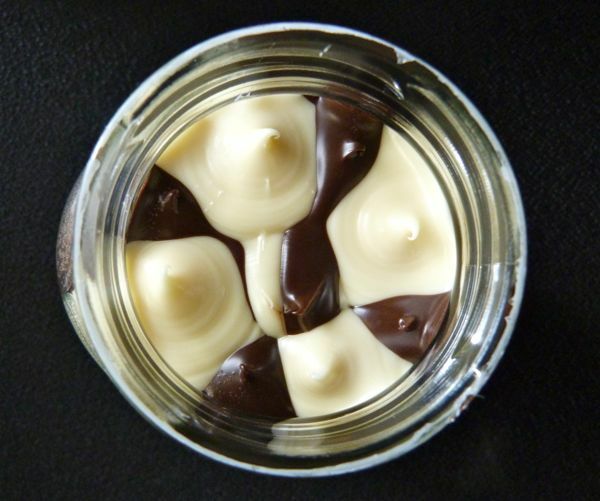 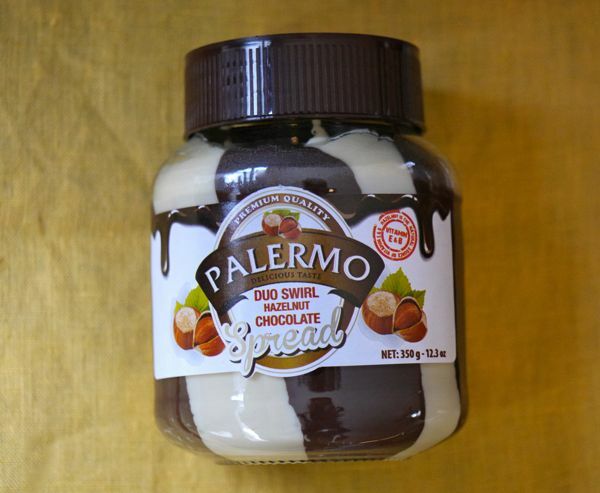 Unscrew the lid on a jar of Palermo Duo Swirl Hazelnut Chocolate Spread from Cosmopolitan Food Group, Inc. (Hoboken, NJ) and you'll find a decorative duo of chocolate hazelnut cocoa cream + manila-colored "milky cream" combined into one alternating, dynamic duo. 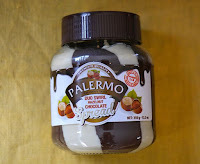 This was marketed as a spread; however, it could also be used to frost cupcakes, as a filling between cake layers, or perhaps piped onto a pastry shell. 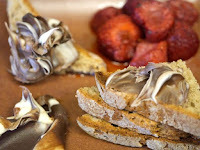 I spread some of this festive spread on plain, gluten-free toast; and the toast helped to balance out the sweetness.